H.E Isaiya Kabira and DFAT Chief of Protocol Lyndall Sachs. Photo: Kofi Bonsu. A celebration that brings together Kenyans everywhere for feasting, dancing, parading and celebrating has been marked in Canberra, where Kenyans and friends gathered for Jamhuri Day. The event commemorates Kenyan independence, gained as a consequence of the Mau Mau uprising against British colonial rule, and is held every year on December 12. Being Kenyan is a spirit of uniting, socialisation and caring for each other in times of trouble and disaster says Paul Mugambi, who couldn’t contain his joy for the celebration here in Canberra. 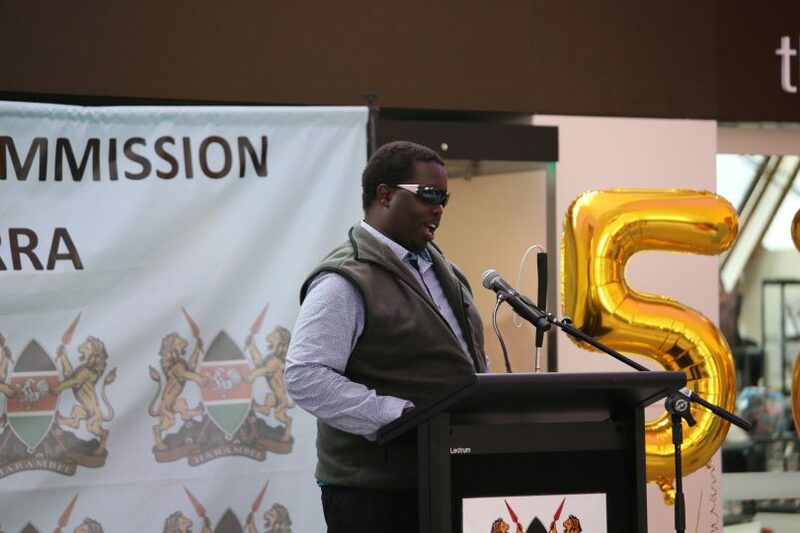 The blind rapper, disability rights advocate and motivational speaker performed some of his high tempo rap songs at a reception held at the National Museum of Australia. Paul has benefitted from the Australian Government scholarship for a Master’s degree in Public Policy at the ANU and said he is very proud of how far his country has come. “Jamhuri Day is a recognition of heroes who fought for our freedom and also of our present leaders who are doing their best to bring people together to realise that we can achieve great things as a nation,” he said. In his opening remarks, His Excellency, the Kenyan High Commissioner to Canberra, Mr Isaiya Kabira who is also the Dean of the African Diplomatic Corps said Jamhuri Day is a time for reflection. “As we mark our Independence Day, we reflect on the road we have travelled and acknowledged the challenges we have faced and overcome, and celebrate our many achievements that have defined our nationhood. H.E Mr Isaiya Kabira thanked the Government and people of Australia for walking with them along the journey during their 54 years of diplomatic relations. He praised the Australian Government for their strong support in the education and agricultural sectors. 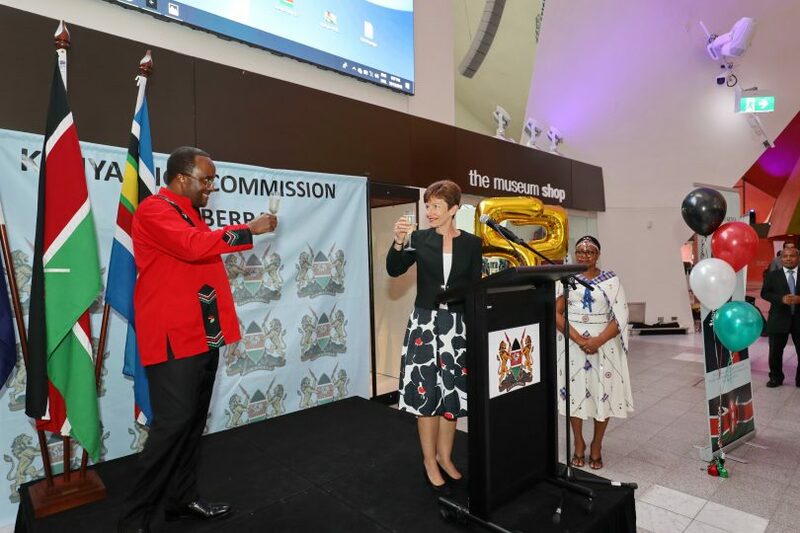 Lyndall Sachs, Chief of Protocol at the Department of Foreign Affairs and Trade represented the Commonwealth of Australia and raised a toast to the people of Kenya. 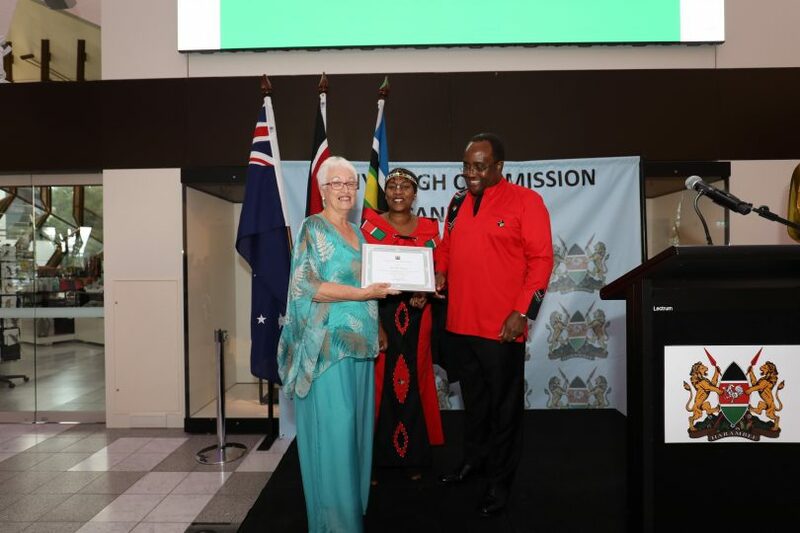 Over 15,000 Australians visited Kenya last year, and Rhonda Moore, who has been taking tourists to Kenya for 24 years and also supports education programmes there, was recognised for her work in promoting Kenya as a tourist destination. Rhonda Moore accepting her award. 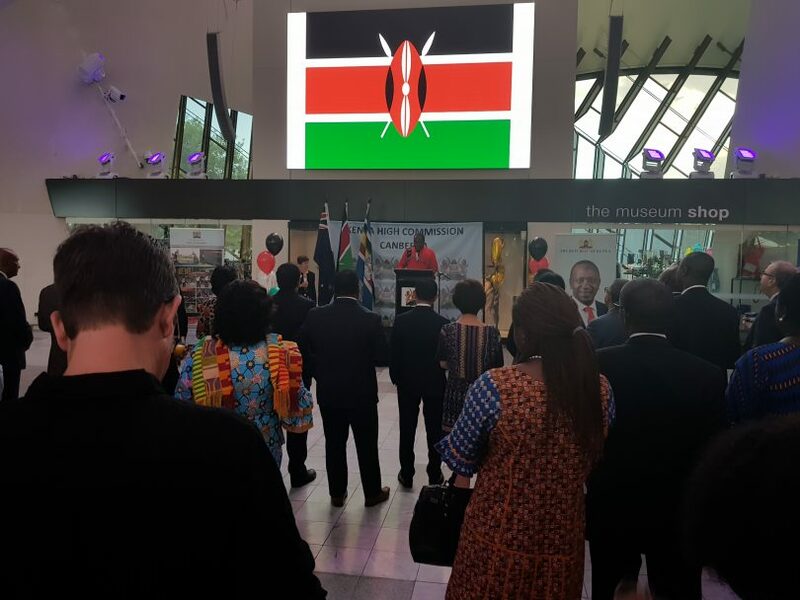 Jamhuri Day commemorated in Canberra.